Solve Err_Name_Resolution_Failed: Google Chrome may be everyone’s favorite internet browser to use, but the problem arises when we come across several of those daunting looking errors while browsing the web. Say, for instance, you are busy at work on your PC when suddenly you come across an error that you can neither understand what it means nor does you know how to troubleshoot. 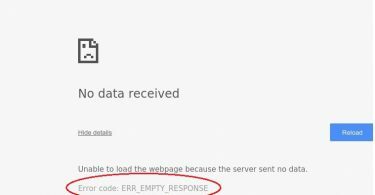 One of the most commonly recurring problems in Chrome is the Err_Name_Resolution_Failed error, which you may have come across while trying to open a page. In this post, we will talk about the reasons behind this issue, and also talk to our readers in an in-depth manner about how to fix Err_Name_Resolution_Failed in Google Chrome. What is the Err_Name_Resolution_Failed Issue? The error usually looks like a nearly blank page with the text “This Webpage is not Available” with the “ERR_NAME_RESOLUTION_FAILED” error prompt placed directly underneath it. You will mostly encounter this problem while trying to open a page on the internet on your Chrome browser. Instead of taking you to the page that you want to visit, you will see the message we have described above. It may sometimes be accompanied by a number code, which may lead to further confusion. There is no need for that, however, for we have analyzed the different reasons for the error and also talked about the many methods to solve the issue. What Causes the Err_Name_Resolution_Failed Error to Occur? While you may think that such an error is not bound to occur on the most recently updated version of Chrome, you are wrong. The ERR_NAME_RESOLUTION_FAILED error can occur on any computer, and the reasons can often go beyond the generally accepted problems surrounding the internet settings. You may find that performing some basic tweaks on your PC will help overcome the bug, but only to haunt your browser again. If you are facing the ERR_NAME_RESOLUTION_FAILED problem after the installation of a new software or after frequent use of a single site that has been labeled as potentially harmful by your antivirus, then it may be possible that it is happening because of a malware attack or faulty TCP/IP settings. Other possible, and more easily solvable, reasons may be a bad connection, or browser cache, among others. However, we have a fix for each of these problems, so go ahead and take a look at the methods below to overcome this annoying, and frankly, troublesome, glitch. As we have already stated in the sections above, while the Err_Name_Resolution_Failed glitch may have several reasons to pop up, there are also several handy methods to address and overcome the issue. We have, therefore, listed a number of them below in an orderly fashion, where the most preliminary fixes have been positioned at the beginning. If your error is not fixed by using Method 1, only then will you need to go ahead and try out Method 2, and so on. Now, let us move on to the steps directly. It may be possible that the error is occurring in your case because of your Antivirus settings/ Firewall settings. This is the method to try out at first to ensure there are not graver risks involved. You may have seen the error because of advanced firewall settings. 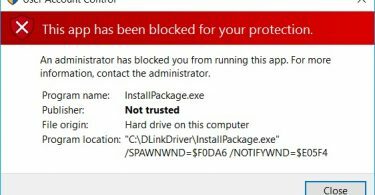 More often than not, you will see that a simple tweak of your PC’s antivirus settings, such as turning off Real Time Protection, will be able to troubleshoot the glitch. If this does not work, however, take a look at the alternative methods below. A simple resetting of your default network settings can inverse the Err_Name_Resolution_Failed issue in most cases.Take a look at the steps below. 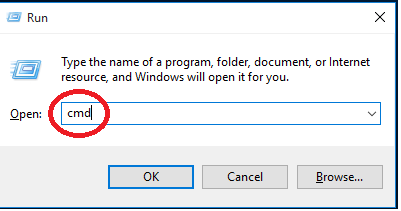 Step 1: On your PC where you are facing the problem, press the Windows Key+R buttons to open the Run Dialog Box. Step 2: In the text slot of the box, type in “CMD” to open the Command Prompt. Step 3: After the Command Prompt opens, type in the following commands one after the other. Step 4: After you finish typing in the above, wait for the system to run the commands. Step 5: After the process is over, Restart your PC. This is one of the most effective and widely used methods that can relieve a PC when even other browsers are being affected by the Err_Name_Resolution_Failed error. If the above process does not suffice in your case, you may have to change your DNS address. You can do this very easily, so no need to be daunted by the many steps ahead. Step 1: Open the Network Settings on your PC. You can do this by clicking on the Network Status icon at the bottom right corner on your device. Step 2: Select Open Network and Sharing Center. Step 3: Next, go to Change Adapter Settings and press Right Click on the network that you are currently using. Step 4: Click on Properties. Then from the list, you are showing, select Protocol Version 4 (TCP/IPv4) and click on Properties below again. Step 5: In the new box that opens, select Use the following DNS server address and enter the following. Note: Alternatively, you can use these numbers too. Step 6: Click OK. Exit after saving is complete. Step 7: Try using your browser now to check whether the problem has been resolved. If all of the above methods fail, then this should be the one to try. To do this, you need to perform the following steps. Step 2: Enter chrome://flags/ in the search bar and hit Enter. Step 3: You will come across a page that will show you the option to Reset all to default on the right. Click on it. Note: The changes this makes will be effective the next time you launch Chrome. Step 4: Relaunch Google Chrome and use as normal. We have reached the conclusion to our guide to fix Err_Name_Resolution_Failed error in Google Chrome. As advised earlier, it is better to start at the top of the list and move on slowly towards the end if you are unsure of what may be causing the problem in your case. We can guarantee that one of these will certainly come in handy. And don’t forget to give us a like or recommend us to those who face similar problems. Until then, you can check out our other troubleshooting guides to learn more about how to tackle these pesky tech-related problems.